With the goal to provide readers with a fresh historical perspective, “Apostasy Can Lead a Nation to Self-Destruct: Will America Mend Its Ways and Return to God?” brings a comparative study of two nations that are separated in time by several thousands of years. Through his study, wisdom, and insights, he highlights the book’s purpose: to inspire every reader and all Americans to avoid the possibility of self-destruction through apostasy and instead strengthen their faith and return to God. In his book, Philip Wittig carefully details how the two great nations of ancient Israel and America, consecrated and dedicated to God, are similar in numerous ways. 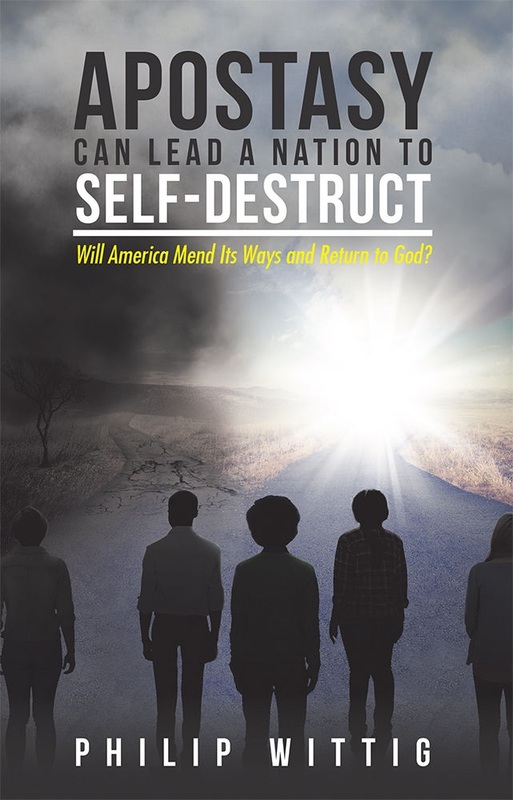 Through his study, wisdom, and insights, he highlights the book’s purpose: to inspire every reader and all Americans to avoid the possibility of self-destruction through apostasy and instead strengthen their faith and return America to God. “Apostasy Can Lead a Nation to Self-Destruct” talks about how the people of ancient Israel were plagued with historical amnesia which resulted in apostasy and ultimately led to God declaring his righteous judgment against the nation. With America currently in limbo, he identifies how the nation could possibly experience the same fate if the people fail to see the need to change their ways. However, Wittig’s eye-opening book is not meant to put the reader into a state of fear. Instead, it’s a call to respond positively as God waits patiently for the people to turn from their evil ways and return to Him. It’s a message of hope that in the near future, America will mend its ways so that God will help heal their great nation, destroy all evil, and bless them with his grace. Find Wittig’s “Apostasy Can Lead a Nation to Self-Destruct” during the upcoming Los Angeles Times Festival of Books. Regarded as one of the grandest literary gatherings in the country, this event is a perfect opportunity to reach out to more Americans and inspire them to take action. The festivities are set to unfold on April 13-14, 2019 at the University of Southern California so be sure not to miss it! Apostasy Can Lead a Nation to Self-Destruct: Will America Mend Its Ways and Return to God? The goal of this book is to help the reader connect the dots, understand and respond to this extremely important issue of saving America.